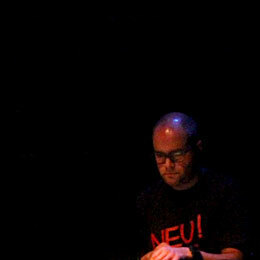 Live recording of Luís Antero’s performance at Natal dos Experimentais 2013, December 13 at Passos Manuel, Porto. Performance with manipulated field recordings of the watch and bell of the “Torre da Paz” (tower of peace) at the village of Benfeita (Arganil) and with the millstone of the water mill of São Gião (Oliveira do Hospital). This entry was posted in Podcast and tagged Luís Antero. Bookmark the permalink. Comments are closed, but you can leave a trackback: Trackback URL.